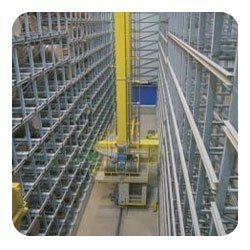 We are engaged in manufacturing and supplying a wide range of Automatic Storage and Retrieval Systems. These Automatic Storage and Retrieval Systems are used in various industries for warehouses and storage departments. 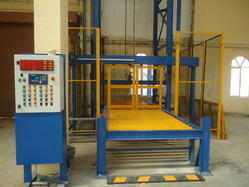 We manufacture these Automatic Storage and Retrieval Systems using supreme grade of raw material. We are engaged in offering wide range of Material Handling Lifts that are available in salient specifications and load capacity. These are manufactured using high quality raw material that is procured from our trusted vendors. These are widely demanded in several industries and other areas such as used in manufacturing organization, various logistics units, air ports etc. We offer comprehensive rage of Material Storage Systems that is used in various small scales to large scale industries. We manufacture these Material Storage Systems with supreme grade of raw material ensuring durability and better tensile strength. We do quality checking and performance measures of these Material Storage Systems before delivering to our valuable clients. Looking for Automatic Storage and Retrieval Systems ?